In 1993, Jacques Gouffaux and Alain Paulus, two experts from the X-Ray generation field, spotted a gap in the market. They realized that the X-Ray world was clearly missing quality, light and effective portable X-Ray generators that could benefit a wide variety of users. During the next two long and exhausting years, they tirelessly worked on designing and producing the first ever-portable X-Ray generator – The SITEX C3003. 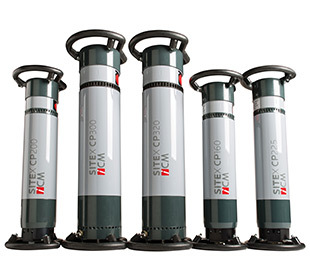 What was a small company back then which was built from the ground up, ICM (Industrial Control Machine) is now the world leader in terms of portable X-Ray generators for the NDT (Non Destructive Testing) market and a major player in the EOD’s Security niche. On the back of a portfolio that counts more than 30 different products, including the now well-known SITEX and SITEX CP ranges, as well as the security detectors FLATSCAN, we at ICM continue to grow year upon year. Since inception we have recorded an average annual growth of 20%. Thanks to this tremendous success, ICM reached new heights in 2015, when we became a proud member of Teledyne Technologies Inc. (NYSE:TDY). As the concept of being innovators and pioneers represents key values within our organization, our priority each year is to reinvest at least 10% of our turnover in R&D. This ensures that we can bring you even more reliable, light yet robust and highly efficient user-friendly products. Our team is currently made up of more than 50 passionate and enthusiastic professionals who work on anticipating and meeting all of your needs. One of our main aims at ICM is to always be close to our customers. This explains why our products are sold in 110 countries and there is at least one After Sales service center situated on every continent. With 10 years of experience working in the development and sales of X-Ray equipment, Jacques Gouffaux, together with Alain Paulus, set up ICM and began their adventure into the NDT field. Launch of the SITEX C3003 – our first branded portable X-Ray generator for crawler technology. 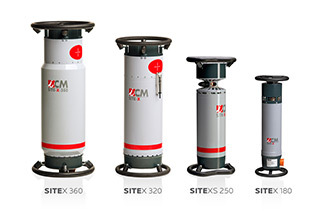 Enlargement of our SITEX range with the arrival of the new directional and panoramic self-rectified units. Displaying voltage outputs ranging from 180 to 360 kV, this wide product range enabled us to become world leader in the portable X-Ray generator market. Launch of the first SITEXS X-Ray generator. This generator represented the first step toward realizing our ambition of dramatically reducing the weight of X-Ray generators and in doing so changing end-user habits. The world premiere of both the CP120B and CP160B – the first battery operated Constant Potential portable X-Ray generators. ICM’s first entry into the security market with the development and marketing of the XSPECTOR. 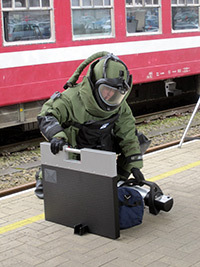 Combined with the CP120B and CP160B, it provided a clear and detailed image of any suspicious object. 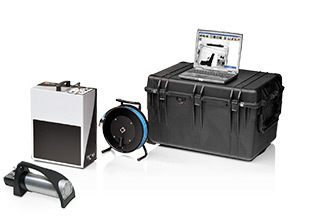 Introduction of FLATSCAN27 – the new X-Ray detector. This offers a wider detection area and a better resolution than the XSPECTOR and it enabled ICM to extend our worldwide presence on the security market. Replacement of the FLATSCAN27 by the FLATSCAN30 with its new redesigned and improved software. Launch of the CP200D – our first constant potential unit. This is the lightest directional constant potential X-Ray generator that has ever been designed. Arrival of the FLATSCAN15: smaller than the FLATSCAN30, this backpack X-Ray detector provides perfect portability without compromising performance in any manner. Expansion of our CPSERIES with the launch of the CP160D and CP225D, as well as the introduction of the CP160CR – ICM’s first Constant potential panoramic unit for crawler technology. Acquisition of ICM by the American group Teledyne Technologies. The company becomes Teledyne ICM. Since our humble beginning in 1993, ICM has recorded a constant annual growth rate that has on average exceeded 20%. This has increased both our global presence and market share. We have supplied more than 3,000 portable X-Ray generators throughout the world and achieved an estimated market share of 25%.For this reason, ICM SA can be considered the market leader in our field. Over the years, we have developed a consistent and reliable commercial network that is characterized by representations, distributors and partners who together cover more than 110 countries worldwide. Working alongside this efficient commercial network, an expert After Sales service organization has been established, which in total is made up of 10 local workshops spread around the globe and features at least one site on each continent. For further information, we refer you to our international presence page. At ICM, we believe that R&D is not just a concept – it is also a duty! It is a fundamental pillar of our organization that is financially supported by the constant reinvestment of 10% of our annual turnover. And this is supplemented by an ever-evolving strong team of engineers, physicists and highly skilled technicians, all of whom are focused on developing new, innovative and practicalproducts.